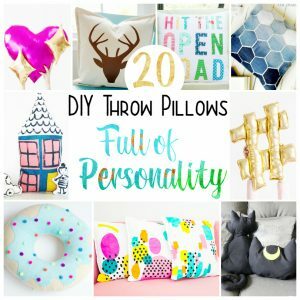 While I do enjoy shopping for fun home decorations, I really love making my own – then it can be customize exactly to the style or colors or fit I want, and usually for less money. 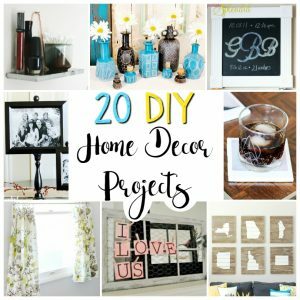 If you’re in the mood to spruce up your house this fall, here’s a list of 20 DIY Home Decor Projects to help get the ideas flowing! Contains affiliate links that help support this site at no extra cost to you. See our Disclosure for more info. I really love the polaroid coasters and framed chalkboard, plus I’m a big fan of mason jar organizers. 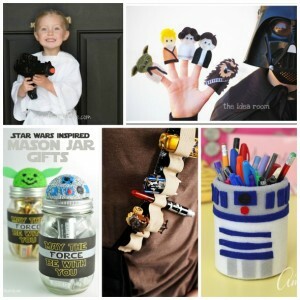 Take a look and see what fun home decor craft you want to tackle to glam up your own space! Update your décor or decorate for a party with this cute and free printable spring banner. 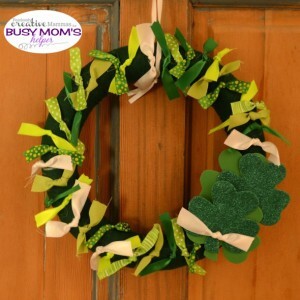 This easy paper craft is fun and festive from March to May! Includes affiliate links for your convenience. See our Disclosure for more info. Spring is here and I’m celebrating with a pretty printable spring banner. This is an easy DiY project that adds a fun pop of color wherever you hang it. I put mine up over a bookshelf, but it would look cute on a mantle or along a stair railing too. 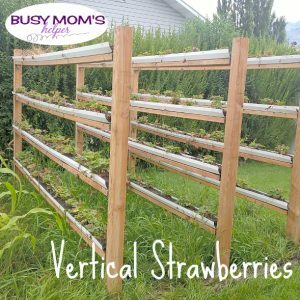 If you are looking for cheap and easy spring décor, I’ve got it right here. I started by printing and cutting out the polka dot banner page and the template. I used my paper cutter, but regular scissors are fine, of course. This paper cutter (affiliate link) is the one I bought a few months ago and love it. It makes the cutting faster and saves me from hand cramps when I’m cutting out a bunch of things. I traced the template onto the back side of my card stock and cut out six pieces. Then I lined up the two pieces and glued them together. Finally, I punched holes in the corners and ran the ribbon through. This makes a cute decoration for Easter. I made it simple with bright, spring colors so that it can also be used for other celebrations, like Saint Patrick’s Day or Mother’s Day. 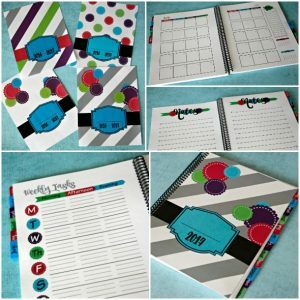 If you just like the polka dots, you could skip adding the layer of card stock. 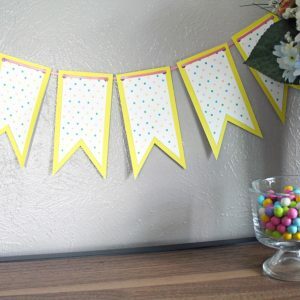 Each polka dot banner piece is 2-1/2 inches across and 5 inches tall. The card stock adds about half an inch all the way around. You can use any color card stock to match or even alternate colors. Who else loves watching the Petco Westminster Dog Show? It’s such a fun event for dog-lovers, and I’m amazed at the participants. While I’m perfectly happy having my two pups just as our stay-home pets, I still want to treat them like ‘best in show’, so they can not only look their best, but also FEEL it! One of the projects I made for them this week is this DIY PVC Dog Bed – you’ll be surprised how simple it is to put together! While my dogs sometimes enjoy laying on the cool tile or grass, I know it can be a bit hard on their bodies. 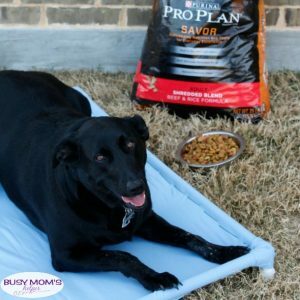 This PVC dog hammock is perfect – it keeps them elevated a bit off the ground, saving them from a hard surface. This is probably really relieving to them after they’ve been racing around the yard – I sometimes like to think that Tula would be able to do great at the dog show simply due to her speed! While you’re buying your supplies for making this dog hammock, don’t forget to swing by Petco to grab some Purina® Pro Plan® brand DOG FOOD for your pups. After all, you want Nutrition that Performs® and that really help your dog be the ‘best in show’, even if they’re only competing in their own backyard! Note: If desired, use 4 more very short pieces of PVC to make it higher off the ground – just pop it into the threaded down corner parts. If you haven’t cut your 4 long pieces to desired length, do so now. Use PVC glue or cement at each of the corners and carefully attach the 4 sides – make sure the threaded part is facing to the bottom, all the same direction. Add the glue for the threaded down pieces at the corner. Allow to dry completely. Stretch your fabric tightly around the edges of your bed, then either fasten with SEVERAL screws (about 5-8 per side) all around. I did this first, and the fabric started to rip – I know it’s worked for some, but I much prefer this way: Use thick thread (like embroidery thread) and a good needle and just stitch the fabric all around the pipe edges. Be sure to pull it tight! Tula was so funny with the bed – even when she didn’t want to lay on it, she kept a paw on it as if to say ‘this is mine, I call dibs’! After these two crazy girls have been chasing all around our back yard, showing off their incredible speed and skill (those turns – insane! ), they love relaxing on their dog hammock, especially when we put their food nearby. We like to use Purina® Pro Plan® shredded blends formula because it contains high-quality ingredients mixed with a taste dogs LOVE. The #1 ingredients is real meat, poultry or fish and the crunchy kibble mixed with tender meaty pieces make a sensational mealtime for my pups. You can get a brand that meets YOUR dogs specific needs, like Purina® Pro Plan® FOCUS, great for adult dogs with a sensitive stomach or skin, in a tasty salmon & rice formula. Yes, the #1 ingredient is REAL salmon, and the rice and oat meal are easy to digest. To help promote healthy skin & coat, there’s Omega-6 fatty acids and zinc. I want my dogs to live a healthy life, so when they’re 7 and older the Purina® Pro Plan® Bright Mind™ will be perfect – it has enhanced botanical oils that are shown to promote alertness and mental sharpness, plus Omega-3 fatty acid and glucosamine to help support joint health and mobility. If your dog is highly active, then you may want to give Purina® Pro Plan® Sport® a try, the Performance 30/20 Formula with 30% protein and 20% fat ratio that helps optimize oxygen metabolism for higher endurance, plus helping maintain lean muscle mass. I fuel my pets with the product that’s fueled the past TEN Westminster champions – what about you? Y’all know how much we love our dogs, right? They’re such an important part of our family, so of course we think of ‘treating’ them during the holidays. I thought a convenient – and attractive – place to hold their leash and treats would be just the ticket. 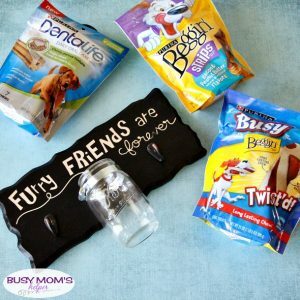 This DIY Dog Leash and Treat Sign was surprisingly easy to make, and looks great while holding our pet stuff! Since we couldn’t really TREAT our dogs without the proper stuff, we swung by Kroger to grab some special goodies – plus their Purina Beneful dog food, of course! We try to offer them a variety of dog treats, so got a couple bags of Beggin’ Strips and Busy treats. I also got some Purina DentaLife, to help keep their teeth more clean*. Y’all know how much we love Purina and trust them to provide the best for our dogs – because we wouldn’t offer our pets anything short of what we think is the best for them. The kids love helping take care of their pets, too, so were quite handy at the store! I don’t know about you, but I love that Purina Beneful dry dog food features MEAT as the #1 ingredient and doesn’t have any added sugar. That’s one great thing about Purina – they listen to feedback of real pet owners to continuously provide better products, which is what led to 2 years of research to result in these new reformulated recipes. My dogs sure love the taste, apparently, and I love that they’re getting their nutrition needs met! So I could focus on the DIY Dog Leash & Treat Sign without curious dog noses in the way, I treated them to one of the Busy treats – these long-lasting chews are perfect for keeping them happy for quite awhile, leaving me to my project! Let’s get on to this fun diy pet project, shall we? Add your stickers to your plaque/board. Paint or stain over them, then remove before the paint dries – I used tweezers to get the edges of the sticker up and peel it up, not disturbing the paint as much as using my fingers. Allow to dry completely. Screw in the hooks and wall hangers. CAREFULLY put a screw through the lined part of the hose clamp and into the wood board. It’s tough getting the screw through the metal, so please use caution. Once it’s attached, add the mason jar into the clamp and tighten the clamp so it’s secure. Hang on the wall, hang your leashes and add your pet’s favorite treats into the jar! I thought the Beggin’ Strips not only fit perfect into the mason jar, but were the perfect dog treat for after a nice walk. They smell & taste like bacon – because they’re MADE with real bacon! I also need to remember to give my pups a Purina DentaLife treat later today – so much to do! Don’t forget to include your furry friends during the holidays with the help of Purina! Now through the end of November, grab these great savings on your favorite Purina pet products – available at Kroger – with this Coupons.com link, while supplies last. What are YOUR favorite Purina pet products? 3D Printing in Your Own Home? When we were teenagers, 3D printing seemed like something from Star Trek. When it became a bit more common, we still never thought it’d be realistic to actual do 3D Printing in Your Own Home – but it’s now true! 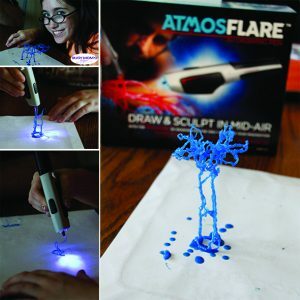 With the awesome AtmosFlare 3D Drawing Pen, you can create so many things, all according to your imagination, in the comfort of your own living room! Yup, you heard it right – this new 3D pen allows you to build – well, technically, DRAW – 3 Dimensional creations without some fancy machine or heavy equipment! We gave it a good test, and after a few minutes got just the right speeds and angles needed to make it sturdy. Black Widow even got in on the fun and created her own AT-AT (Star Wars, for those that don’t know – and if you don’t, I’m so sorry!) with the blue color ink! Her biggest issue was just going slower, since she’s use to regular drawing at whatever speed she wanted. This requires a little more patience, but once you’ve got that down you’re set to go. So how does it work? We were eager to open the box to find that out, too! First, it comes with the large ‘pen’ portion, which has an Ultra-Violet light (there’s a button you can turn it on/off as needed) that heats the pen ink when it comes out to ‘cure’ it so it’s then a solid. You can switch out the ink cartridges to your desired color – this pack came with red and blue. Just hold the pen, squeeze the sides of the ink cartridge and it comes out! One trick – you can draw portions of your overall design flat with the light off to give you time, then cure it with the light. Then connect your different sections upright with a little more ink/light. Viola! While it’ll take all of us awhile before we’re 3D drawing things like the amazing creations on the AtmosFlare 3D website (check out their turtle! ), I know we’ll get better as we practice. For some bonus help – they have FREE courses for 3D drawing at Create In 3D! It really makes a difference being able to SEE the tips and tricks, plus some other projects starting at beginner (yup, that’d be me right now!) on up to advanced. You can nab your pen on Amazon, Walmart.com, BestBuy.com and Toys R Us, so hurry! What’s the first thing YOU’D make with a 3D Pen? Many of you requested that we bring back our most popular planner design from a couple years ago – so we did! 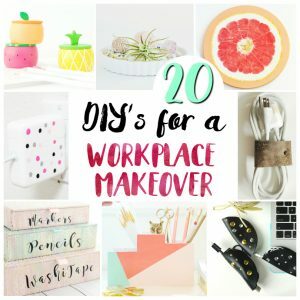 This is still one of my personal favorites, too – the bright colors, organized layouts and helpful lists make it ideal for time management or task planning. So without further ado, here’s our 2016-2017 Planner! Also available in just 2017. 2017 Planner: PDF Download Only $2.99! FULL download is just $2.99! 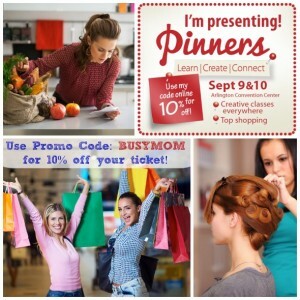 Check out our other fun products here – meal plans, Disney books and more!